It has been two months and two days since I published my last blog post. Many times during the hiatus I have considered writing but I always quickly seemed to find an excuse not to. The excuses ranged from being too busy handling the many tasks involved with leaving Joburg to being too sad to put into words the pain that leaving was causing me. Then, as with anything you haven't done in a while (think working out) it just became easier not to, than to take the plunge and start again. I've now been living in Geneva for 22 days which feels more like forever. As full as my life was in Joburg with my various activities, groups and friendships, it is now pretty empty. The optimist in me would prefer to describe life in Geneva as a blank canvas rather than a vast wasteland of never ending boredom and so in the short time I've been here I've made great efforts to try to create a life. I've joined a boxing gym, begun French lessons, started running in the park and joined the International Women's Club. I even made a new friend who I have met several times for coffee and wine. Mr. Deep and I have made weekend trips to Lyon, France and Zurich and we have another trip planned for this coming weekend. On paper I have done all the right things so I wonder when will I actually start being happy living here? When will I stop missing South Africa? What if I never do? Geneva could not be more different than Joburg. If my life were high school, Geneva is a size 00 French speaking prom queen who remains a size zero even though she eats a chocolate croissant every morning and drinks French wine every night. She has an extremely rich father, drives a Porsche and her hair is shinier, blonder and more beautiful than Marsha Brady on her best day. Joburg on the other hand is the handsome guy who dropped out of school six months ago but still hangs out near the bleachers smoking cigarettes. Geneva is French, clean, safe, refined and fancy. It is full of old architecture, parks adorned with sculptures and streets named for famous dead Swiss people. It has a large beautiful lake with a giant fountain in the middle spewing water 140 meters into the air, two rivers and lots of big, old trees. Joburg is strewn with litter and the streets are gutted with potholes, there is no body of water to be found anywhere and many people don't even have running water in their homes. Nothing in Joburg is old unless you count the Cradle of Humankind. In Geneva you can walk around at all hours without fear of taking a wrong turn and being robbed at gunpoint. In Joburg white people generally don't walk anywhere and walking around aimlessly exploring is definitely discouraged due to the aforementioned chance of being robbed at gunpoint or worse. Another blogger whom I admire greatly named Joburg Expat, recently published a link to the post that I wrote questioning the lack of an expat departure handbook. Her Facebook post received numerous comments from readers who wrote such things as "South Africa does get in your blood" and "in my blood and soul forever." In my blood, under my skin and in my soul are interesting ways to describe a place. I've lived many places that I enjoyed and retain special memories of but South Africa is the place that will remain in my blood, under my skin and in my soul. Now, South Africa will remain in my blood both literally and figuratively forever. On 23 June I got a special tattoo to remind me of my time here. No it's not backwards, it's just the photo taken in the mirror. My tattoo wasn't a drunken whim. Instead it was a premeditated, carefully considered and deliberate decision. I talked about my plans for the tattoo for months before actually proceeding. I asked Justice to create a design for me on which my tattoo is based. Despite all of this, Mr. Deep and other friends were shocked when I scheduled the appointment to get the tattoo. Side note, I wonder why people don't take me seriously sometimes? I was compelled to get the tattoo because I need to have a piece of Africa with me at all times. My hope is that the image, now permanently a part of my body, will keep me calm and grounded. It's a similar gesture as putting a photo of your favorite beach or mountain retreat on your desk at work to help remind you there is more to life than the office problem or problems of the day. I needed something permanent as my time in Africa was only temporary and far too short. I never want to forget my many varied and rich experiences, from my charmed expat life of luxury, my mansion, the numerous ridiculous and frustrating tests of patience, the constant view of a heartbreaking reality of lives filled with real suffering and struggle, the stunning sunsets and breathtaking wildlife sightings, the sounds of varied languages being spoken none of which I could understand at all, the bright Joburg sunshine and all of the smiling people. I carry these memories with me as my inked body and I aimlessly and freely walk the clean streets of Geneva. I love this. 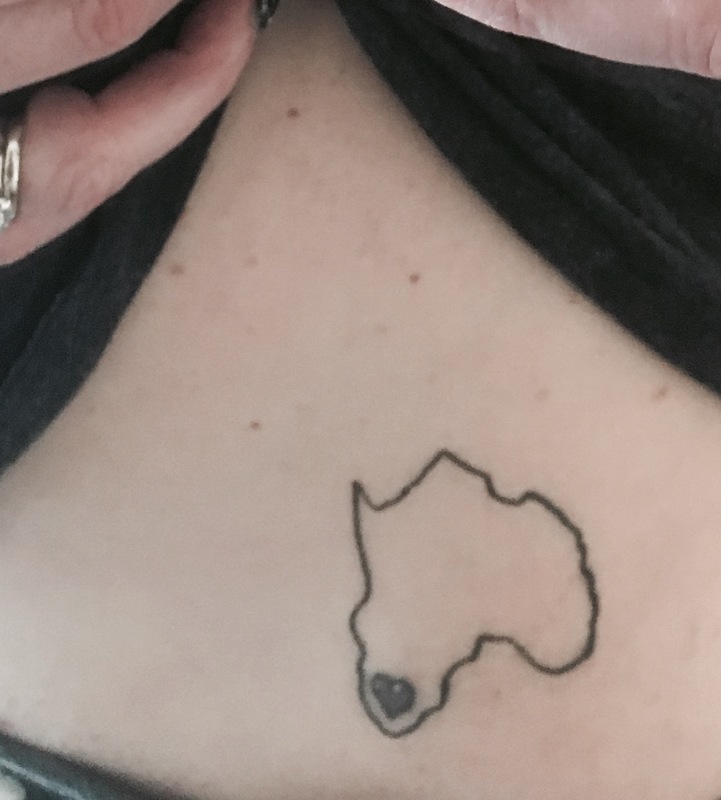 I too have considered a tatoo of Africa with a heart in Gauteng. I still wear my African pendant daily as a reminder of the place I left a piece of my heart. Donna, I miss your smiling face and I know you understand exactly what I am talking about. Thanks for reading. 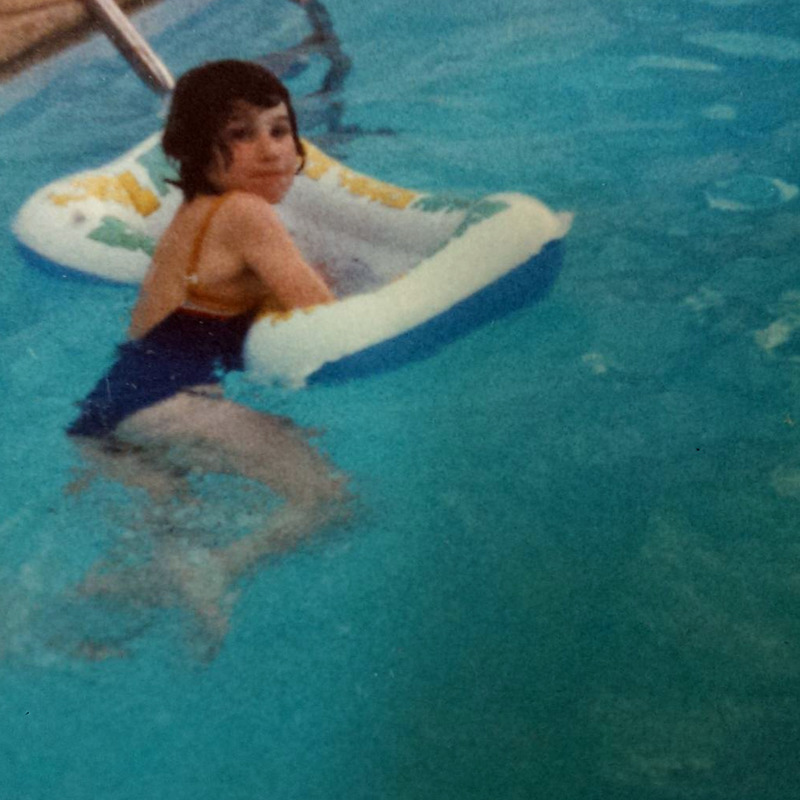 After my first time in Africa (Uganda, 1991), I described my experience as "hearing my mother's heartbeat." Now we live in Johannesburg part-time and when I'm away, that beat pulls me back. Our time in Africa will come to an end eventually - thank you for preparing me for that sad day. Thank you for reading. I know I'll be back somewhere in Africa some day. This is amazing. I especially love your comparison of Geneva to a prom queen and SA to the handsome guy on the corner -- brilliant! Whew, I am so moved by this piece and by the depth of your feelings. Thank you! I really appreciate the positive feedback.